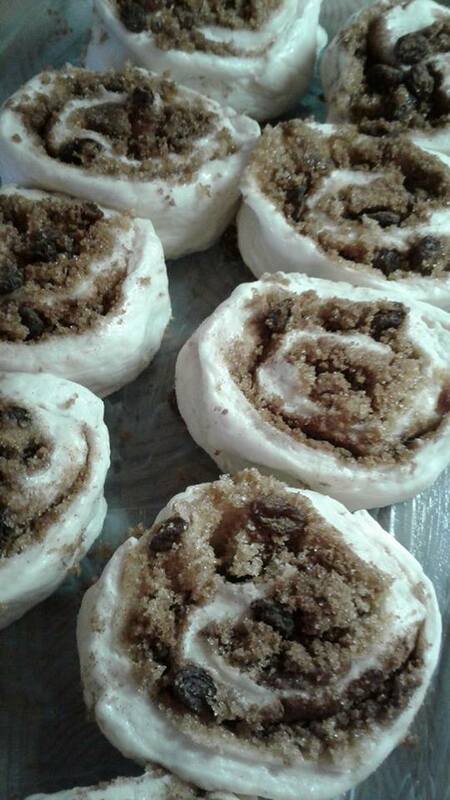 Cinnamon Buns are truly a amazing treat an they should be very much considered that as they are calorie heavy but they are amazing! I almost always make mine with bread dough but I find milk bread dough to be the best to make a gooye sticky sweet fluffy cinnamon bun. Make a batch of Milk bread dough, after its first rise, split in half, makes one loaf and one pan of buns. lightly grease your rolling surface then roll or hand work your dough into a sheet of bread dough approx. all the same thickness, leaving a clean edge of at least an inch then your first layer is butter, it should be enough butter that you see butter not bread dough. 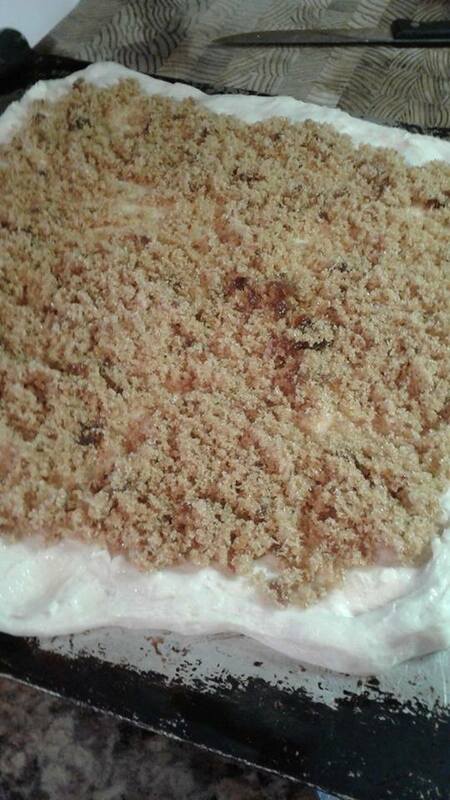 then second layer is brown sugar which should be thick enough that you can not see the butter, then you can sprinkle raisons or not and then thirds cinnamon, cover that brown sugar really well. they can be placed to touch if you like softer buns, or they can be placed as seen above if you want them to spread out more for baking. Cover and allow dough to double in size, bake until golden brown at 350. As soon as possible out of the oven and with great care, flip the whole pan upside down onto tin foil or wax paper or non-stick baking mat, then take you licker and take out all the still soft gooye topping and drizzle back over the top of the buns. if you cut down on butter or brown sugar, they will not make their own sauce or topping, they will still be good but they will not be a sticky cinnamon bun.. 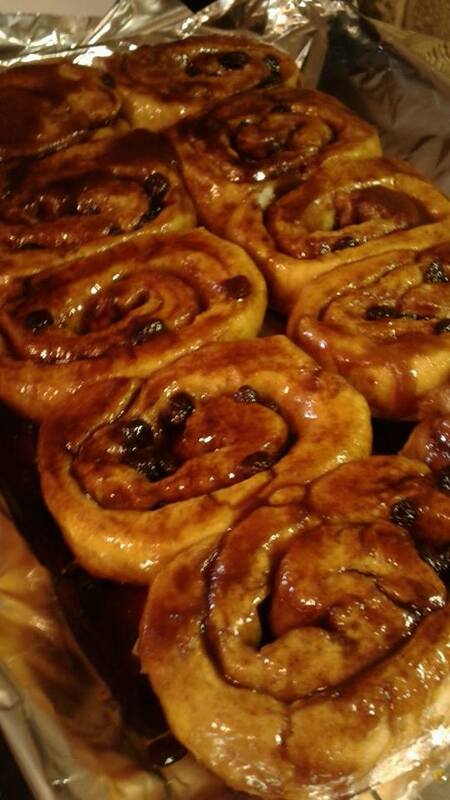 This entry was posted in Baking, Bread and tagged baking treats, cinnamn buns, cinnamon buns, Milk Bread recipe, sticky cinnamon buns. Bookmark the permalink.